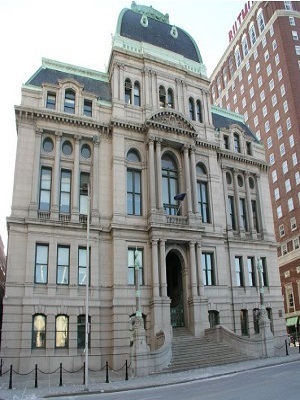 PROVIDENCE, R.I. (Legal Newsline) - Lawsuits filed over so-called “pay-for-delay” deals, such as the string of actions filed in the last few years by the City of Providence, can be “incredibly lucrative” and often attract plaintiffs’ attorneys seeking big paydays, one defense lawyer says. Douglas McMeyer, a partner at Chicago-based Chapman Spingola LLP, said in an interview with Legal Newsline that part of the problem lies in the U.S. Supreme Court’s 2013 ruling in FTC v. Actavis Inc. In turn, that area of antitrust law has become both “wide open” and “ambiguous,” McMeyer says. “It’s become an incredibly lucrative area for the plaintiffs’ bar,” he said. McMeyer points out that in cases like those brought by the City of Providence -- in which the government entity has teamed up with private law firms to file more than a dozen antitrust lawsuits in federal court since 2012 -- there is an added benefit for the plaintiffs’ attorneys. “The thing they get by being contingency fee counsel for a government is a whole class, ready-built, without having to go through the normal safeguards for class certification,” he explained. In Providence’s case, prominent plaintiffs firm Motley Rice, which has an office in the city and connections to the city Solicitor’s Office, stands to earn anywhere from 15 to 40 percent in legal fees from several of the city’s antitrust cases. The cases, filed through the city’s Solicitor’s Office, allege companies are “scheming” to keep generic versions of their prescription drugs off the market. The city contends that by blocking generic competition through “pay-for-delay” deals -- in which brand-name drug makers pay their generic competitors to keep cheaper alternatives off the market -- the companies have forced it and its insurers to overpay for medications. A public records request submitted by Legal Newsline in August revealed the city has given five contracts for the cases. Four of those went to Motley Rice. The high-powered law firm, which has gone after asbestos makers, tobacco companies and the lead paint industry, holds at least two recent connections to the Solicitor’s Office. The first was Matthew Jerzyk, who began work as deputy solicitor in 2012 and was listed as counsel for the office on some of the lawsuits. Jerzyk denied being a link between the Solicitor’s Office and Motley Rice, which has been hired by the city for more than just the antitrust cases. “When I became Deputy Solicitor, there was already a group of contingent fee firms retained by the City Solicitor and I had no role or authority in their retention or termination,” he said in a statement to Legal Newsline in September. The second recent connection is new solicitor Jeffrey Dana, who was recommended for the job by both Jerzyk and Robert J. McConnell, an attorney at Motley Rice and brother to Jack McConnell, a former Motley Rice attorney and now a federal judge in Rhode Island. “A governmental body being used as a tool of a plaintiff’s firm for multiple “cookie-cutter” lawsuits certainly deserves to be scrutinized,” Bozarth said. Both Bozarth and McMeyer questioned how the city handles bids for outside counsel. Dana has yet to return messages seeking comment on the cases and the city’s bidding process.